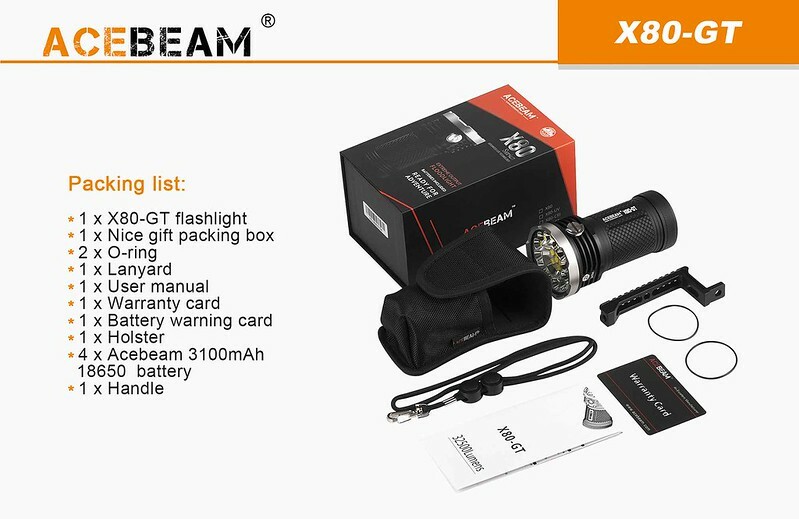 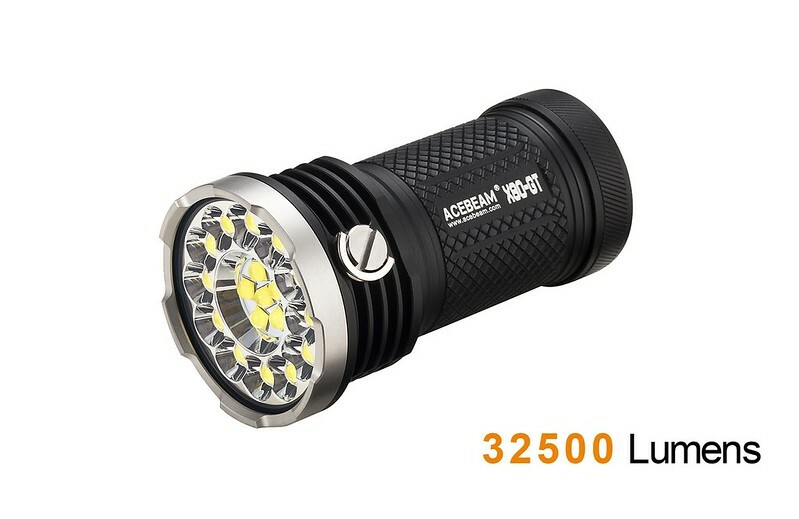 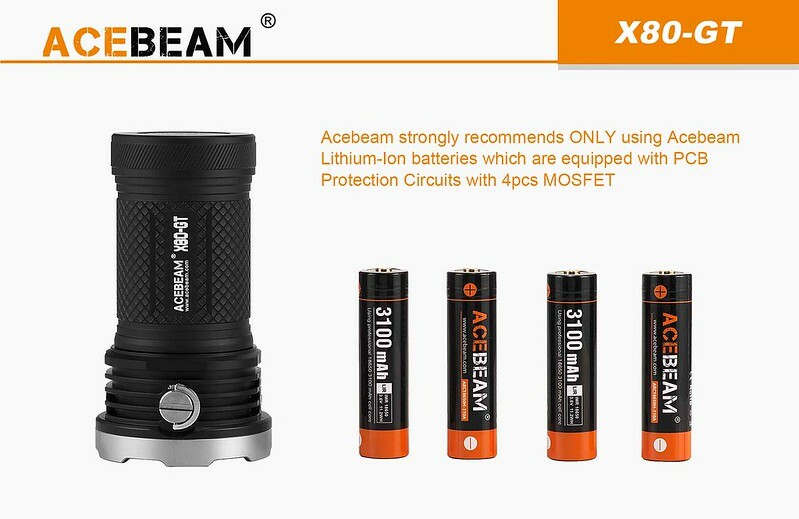 【錸特光電】ACEBEAM X80GT 32500流明 附原廠電池 手提把 搜索泛光手電筒 射程369米 XHP50.2 - 【錸特光電】戶外品牌手電筒.戶外求生.裝備. 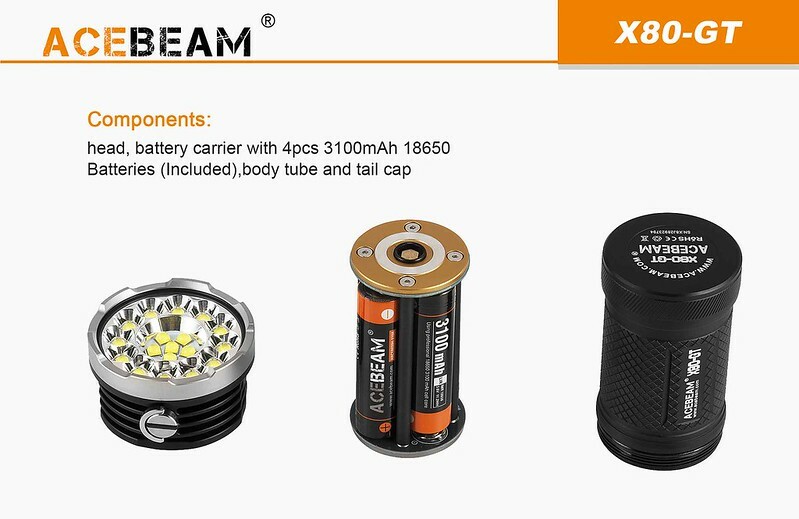 The Acebeam X80 Series has evolved and the X80GT now features an amazing 32500 lumen output that is achieved by squeezing a total of 18 Cree XHP50.2 LED’s into the same sized frame as the original X80 model. 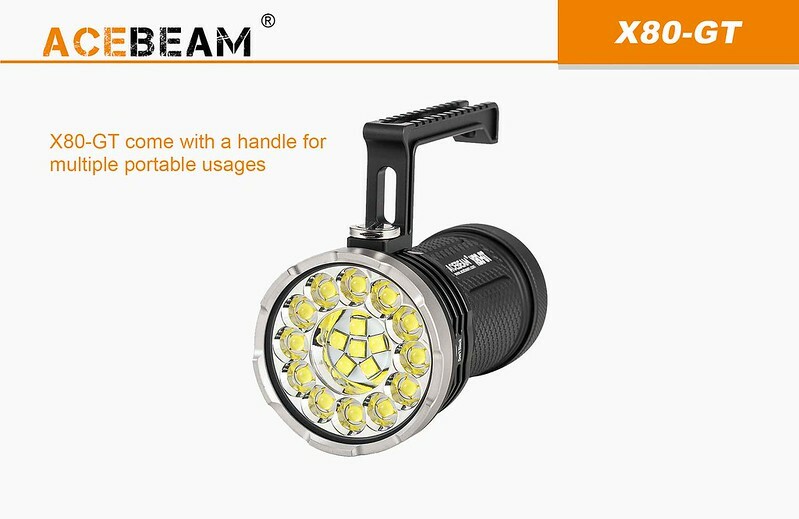 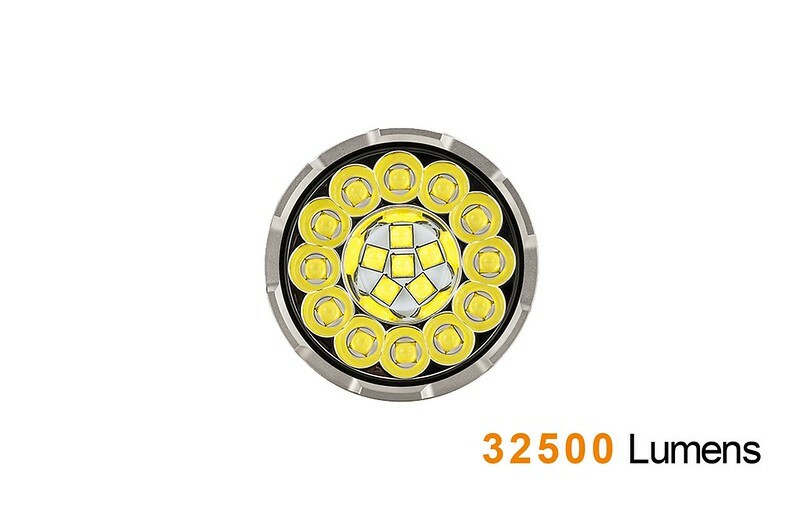 There are 7 different lumen output settings to ensure you will always have the right amount of light for your situation. 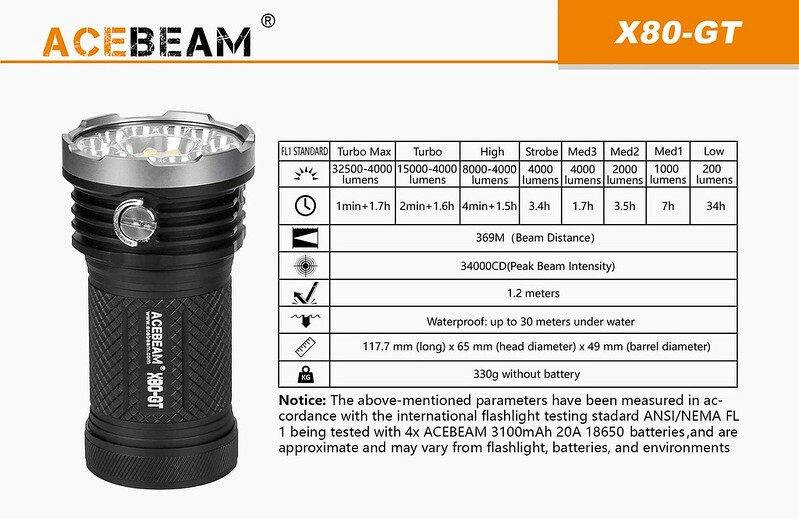 Built for the outdoors and ready to work, the X80GT is perfect for search & rescue, military, security and hunting applications. 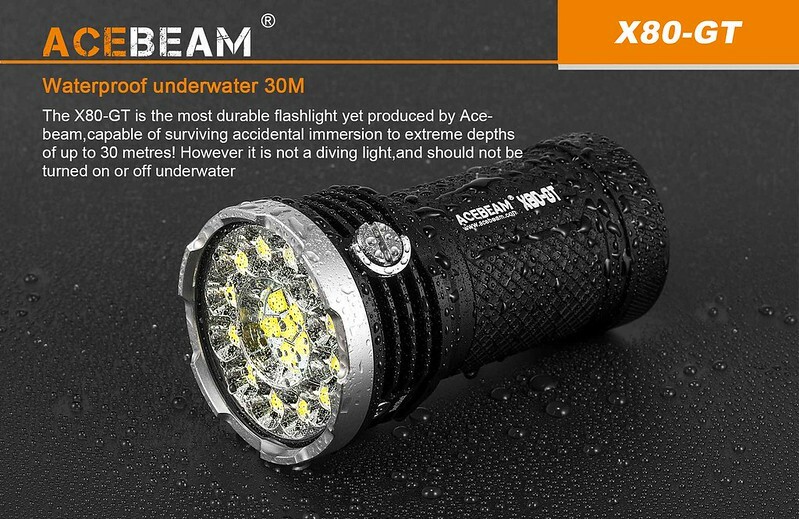 Waterproof to 30m and shockproof, this is a game changer that is pushing high output LED technology into the future. 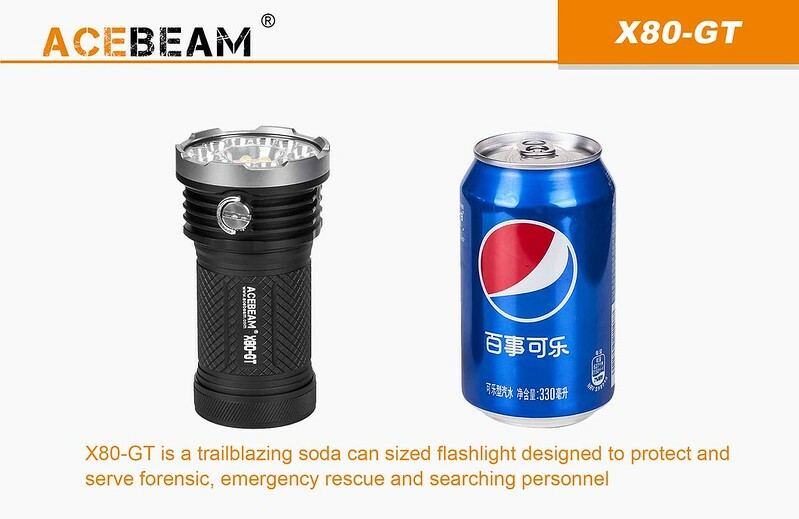 Specially designed for military, Law Enforcement, Self-defense, Hunting, Search & Rescue, and outdoor activities. 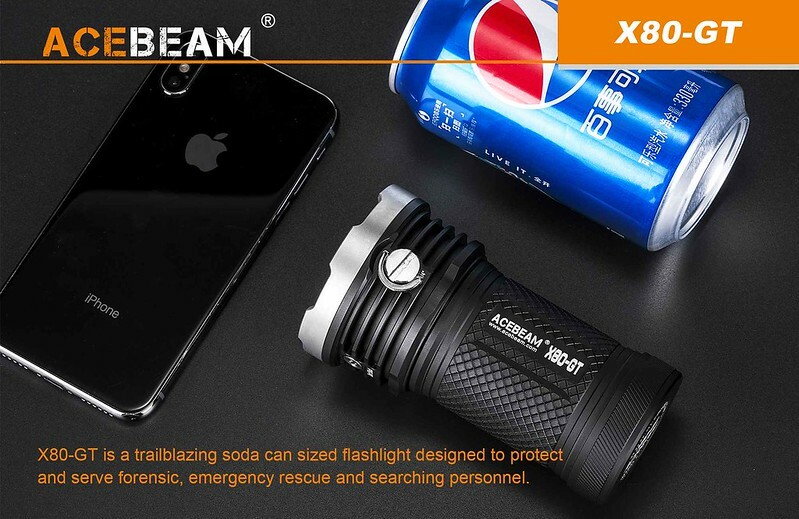 Please note this flashlight will become very hot at maximum output, and must be carefully handled to avoid burns. 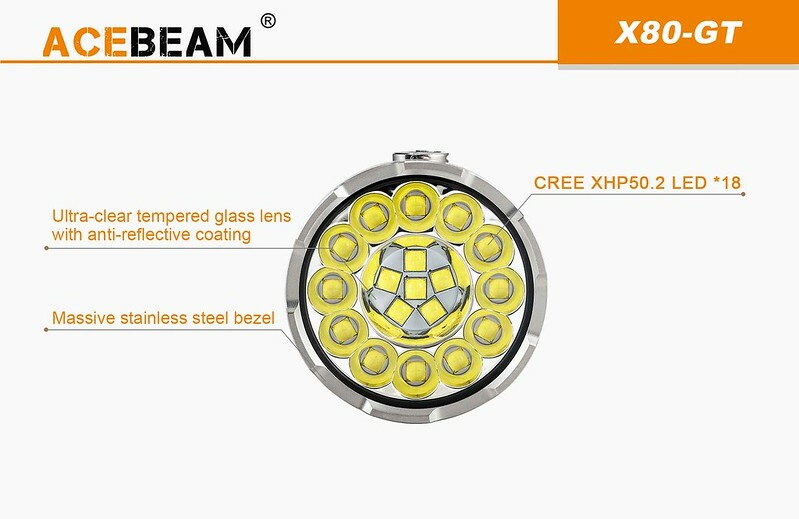 Furthermore, the extreme output can cause injury to human or animal eyes - please do not look at the lens while activating or direct the beam towards any person or animal. 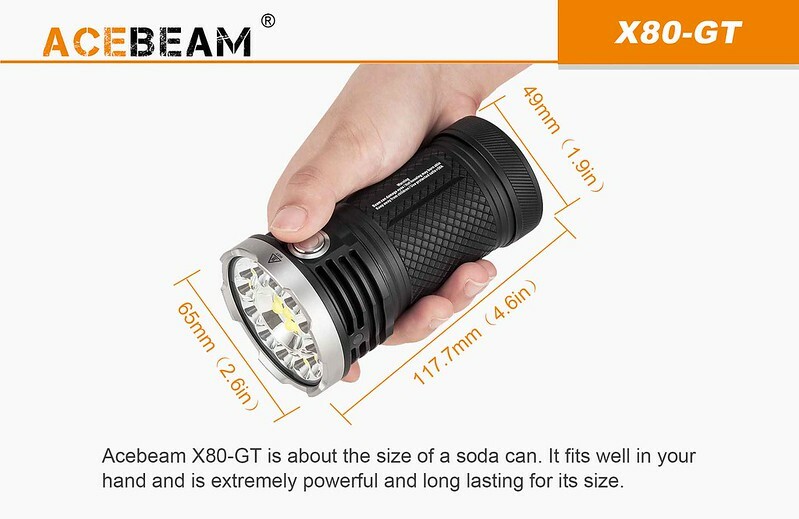 This flashlight must be kept out of the reach of children.